On this particular holiday, I’m just going to draw a clumsy analogy between the heroic decisions and actions of the Founding Fathers of the United States of America 240 years ago and the decision that K. R. Brorman, S. A. Young and I made about four years ago to publish our books independently, free of the tyranny of traditional publishers who control just about everything about the process — including the revenues — except for the actual writing part. Looked at another way, they also take pretty much all the risk and do all the hard stuff that writers tend not to be so good at – making tough editing choices, marketing and distribution being high on that list. What we haven’t decided yet is whether to go all the way and self-publish or to sign on with a small press (aka, independent press and indie publisher). A small press takes on more of the publishing responsibility to varying degrees offering editing, cover design, formatting, marketing and distribution. Some more, some less. Many or most specialize in a genre or complementary group of genres. Depending on how much support/service the author and the indie publisher agree on, the amount of royalty the author will earn will also vary. Whatever we finally decide, we will definitely outsource the developmental editing, cover design, possibly interior design/formatting because we want the end product to be as professional in content and appearance as possible. Here’s a question for you, dear readers: how do you like to read? E-book or print? Or do you like to be read to? We have decided to digitally publish our novels. This requires some technical skills that we may or may not possess, may or may not be able to learn, but the number of entries in our genre on a daily basis demands that we get our books into the hands of readers by the fastest, easiest-to-select-and-acquire method possible. E-books, digital publishing, has grown each year since, well, the first digital publication is widely debated. The first e-reader was invented and patented in Spain in 1949. Between 2011 and 2012, when E. L James self-published the first of her 50 Shades trilogy as an e-book (later print on demand), the percentage of Americans who owned an e-reader or a tablet rose from 18 to 33 percent, 23% of Americans over the age of 16 had read an e-book. 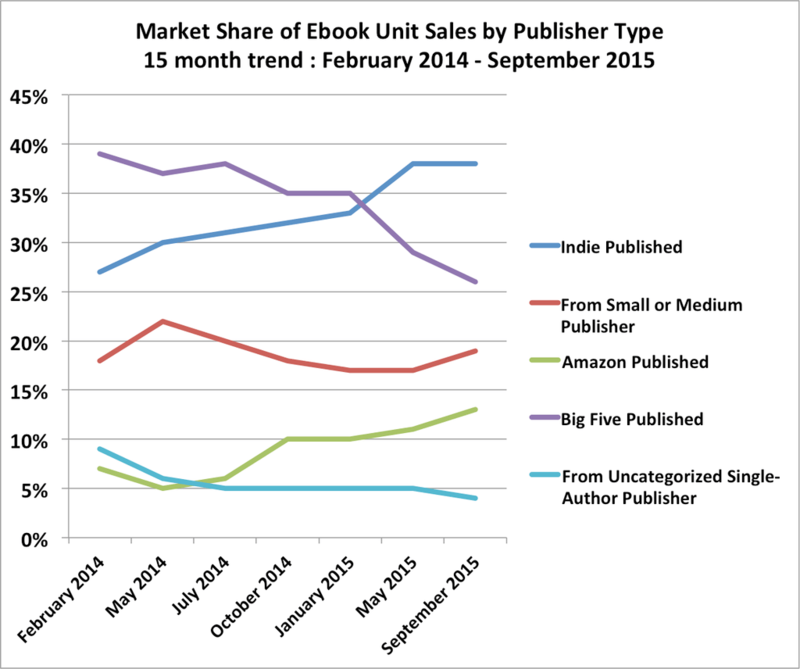 While traditional publishers’ market share declines, independent e-book publishing is on the rise. We hope that tide will lift our boat, too. To get you back to your holiday weekend celebrations and activities, I’ll leave you with a wish that your travels be safe and expeditious and that you are able to spend quality time with family and friends you enjoy. As Fergus and I are doing! 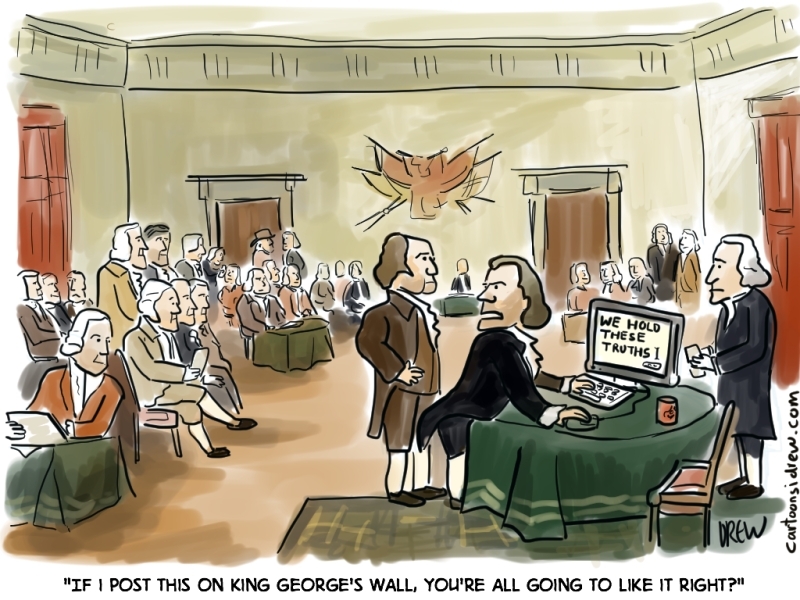 Leave a reply on "Declaration of Independence"